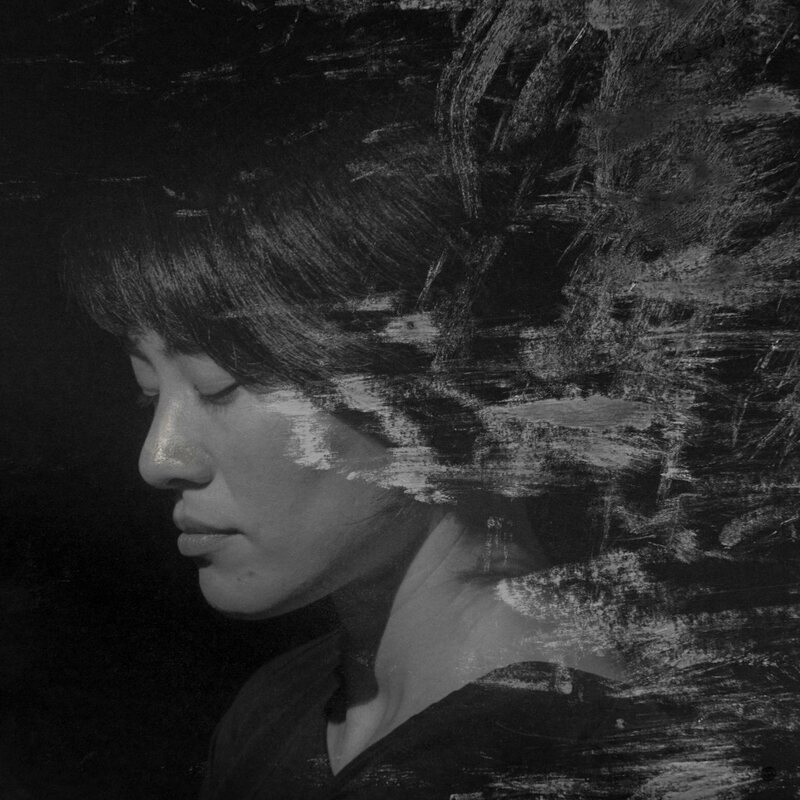 We wanted to learn more about Mayumi Suzuki and the reasons behind her project The Restoration Will. The 87 handmade edition, made after the Photobook as an Object Workshop at RPS in 2016, sold out quickly, the project earned international recognition, and finally was the winner of the 2017 PhotoBoox Award. Read our interview with Mayumi below, and pre-order a copy of the book or the special or limited edition HERE. The award ceremony will be held on November 25th, during the main weekend of the Photolux Festival. The Restoration Will might provoke, in someone approaching it for the first time, a sense of existential loss for the immense devastation that an earthquake and a tsunami carry with them. However, the final message you want to communicate is completely different, it is in the title itself. What are your memories of that day, of March 11th, 2011? What has changed for you personally and as a photographer? Some readers might feel sense of loss, others might perceive something heartwarming. What I want to share with everyone is not the memory of the tragic Tsunami, but the “mental restoration” one may experience after a devastating event. I also wish this book to be shared with those who harbor sorrow/grief within. Anyone experiences painful events in their lives. For me, March 11th, 2011, the day of the giant Tsunami, was the memorable day in my life. Two weeks after the Tsunami, I went back to my home and picked up my fathers belongings in the rubbles. My parents must have died in deep regret. I thought I should make a mark of my parents’ lives and of my father’s life as a photographer. It became my attempt at restoration. It was my father’s will, and mine too. Your father’s camera, found after the tsunami, has received a second life in your hands, and seems to be the legacy of your parents. Just like the dark room that was able to withstand the complete collapse of the house. What is their story before being buried by rubble? The darkroom was the place of memories of my father and I. It was also the starting point of my career as a photographer. I was about 5 years old when my father started taking me into the darkroom and showed me the attractions of photography. I remember the moment when images floated up in the developer, and the acidic smell. I was so enchanted by my father’s printing works and even forgot about mealtime. In that darkroom I also helped him with printing and I printed the portrait series of the shipwrights from 2004 to 2005, after I graduated from a photo college. The 16 meter high Tsunami destroyed all the houses in the area. It was so high and powerful enough to push a car into the third floor of a building. But our darkroom withstood in such Tsunami. I think my parents’ spirits really wanted to protect the darkroom as the symbol of their photo studio. You compare the scars in the found photos to your faded memories. 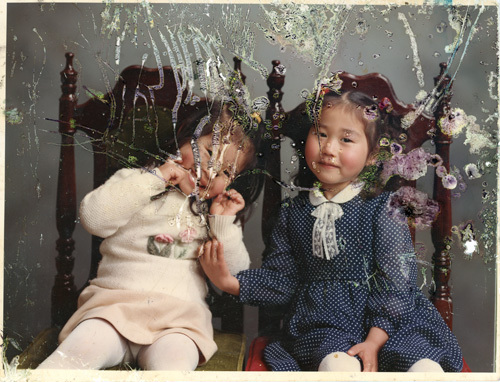 Does seeing those pictures of when you were a child, and those of your father’s portfolio, re-composed in a book, help to recover your distant memories? Yes, it was very helpful. Before I started making this book, I was trying to give up all the memories from the past in order to get away from reality, which was too painful to confront. I stored away those found cameras, lenses, and the snapshots in my closet for five years until I started this project. Those things reminded me of the Tsunami, and I did not want to feel emotional for I would be immersed in the memories of my family. To tackle this project, I took out the snapshots my father made. They were damaged in seawater and the layers of color were partially lost/reacted to seawater. The damages resembled the scars in my mind, and the damages my hometown suffered. I saw a possibility of giving depth to the story by utilizing those photos. As a result, I feel my mind could recover through making this book. What kind of relationship do you have with the sea, with water, today? Despite the experience of the Tsunami, I still love the sea, because I was born and raised in the fisher town. Whenever I see that beautiful coast of my home, I can feel my parents near me. Some people who ware struck by the Tsunami could not see the sea for some time (a sort of trauma, I presume), yet, as Japanese we worship nature, we have the mentality of accepting any event caused by nature, even a Tsunami. While the sea could be a threat, it is also a blessing of nature. Our lives depend on what the sea provides; a place for fishery. In my book, there is a page with blue waves. Actually, these images were not taken in my town, but I shot them while I was on a fishing boat offshore of Izu Peninsula in Shizuoka prefecture, 600 km away from my home. 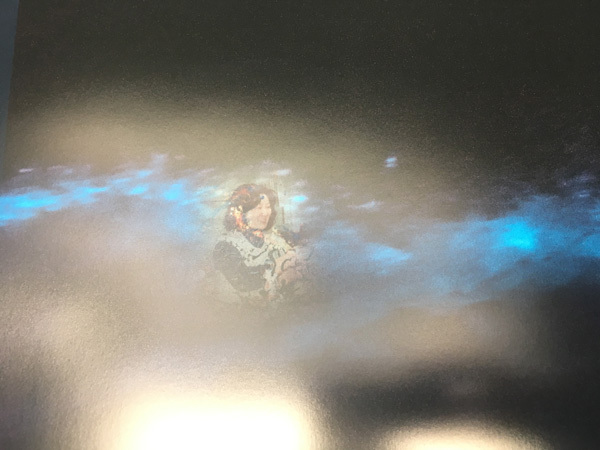 The moment when I saw the blue light emitted from the noctiluca, it seemed to me that the spirits of the deceased were floating there. In fact, the missing victims, including my parents, were still resting at the bottom of the sea, and I thought it could be possible that they had drifted there. In which way the Japanese publishing tradition has influenced your photography work? Actually, I don’t have much influence from the traditional Japanese photobooks. It is true that many beautifully produced books are published in Japan, but photography itself clearly differs from the context of European photography. Honestly speaking, I was not interested in traditional Japanese photography. In recent years, photographers are making photobooks with multiple layers to enable storytelling. I became interested in that type of photobooks. It was Yumi Goto (independent curator, Reminders Photography Stronghold) who triggered me to make this book. What was the reason why you decided to transform your photographic project into a book? My story could not be expressed only by editing the images as a narrative. I was thinking about the reasons why I wanted to restore what my father left, why I wanted to express the world of the deceased using my father’s lens, and why I wanted to share my story with the world. And I came to the conclusion that a book could form a shape for the complexity of an invisible story. My liking the physicality of books was also simply one of the reasons. One has to go somewhere to see an exhibition. Showing photos online is possible, but it has a technical limit. On the other hand, as one flips through the pages of a book, they can enjoy the feel of paper, the rhythm of the pages, the changing of one's own emotions. A photobook can also be spread all around the world, too. For these reasons, I have chosen the photobook as a way to express myself. By your opinion what’s the value added to a photographer work when choosing a book form? These days, not only can anyone take photos, but they can also show them online. In such time, besides photographing, a photographer has to pursue more elevated “expressions.” That’s what I believe. One can claim oneself as a photographer only when one has this value-added manner of expression. The value of bookmaking is that a photographer can fully visualize their ideas. One might have to give up what they wanted to do for an exhibition due to budget or limit of space. But a book can enable the ideas relatively easily and economically. A book can be the most effective tool to photographically construct stories one wants to communicate. 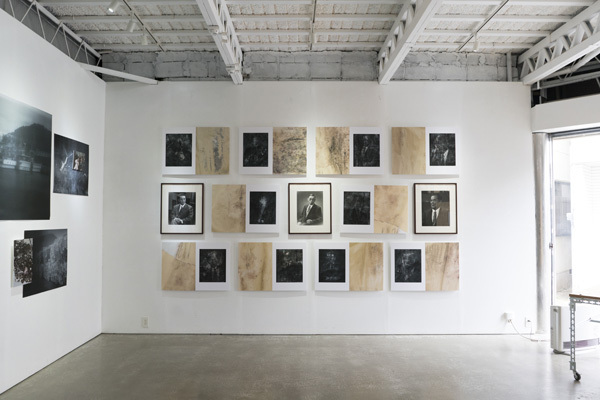 Do you know the Lieko Shiga's work Rasen Kaigan (Spiral Shore) and if yes, what do you think about it? 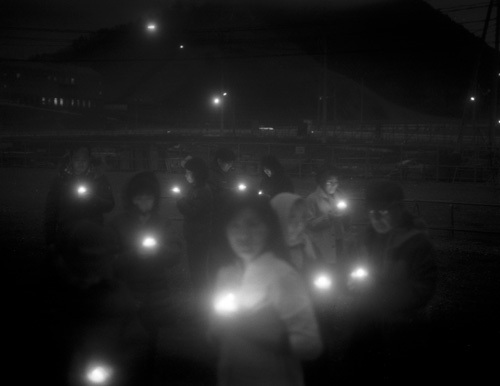 In 2015, this work has taken part of a collective exhibition In the wake: Japanese Photographers Responds to 3/11, presented for the first time to explore the photographic response to these tragic events and also to interpret the overarching significance of the tragedy through art. Do you know these projects? If yes, do you consider them as a source of inspiration for the evolution of your work? Of course I know the work "Rasen Kaigan." Shiga, the photographer, moved to Natori, Miyagi prefecture, before the earthquaque. Her work is the fruit of the excellent collaboration with locals. There are many photographers who worked on the theme of 3/11, and I heard that the photo exhibition in Boston on 3/11 attracted a lot of audience. This shows that 3/11, a natural disaster, became the center of attention all over the world. Because I couldn’t think of anything but my home (I didn’t even have much room in my head to think about the Fukushima nuclear power plant), I was never really able to see what other photographers were busy with. Yet, every time I saw the images taken in that area, I felt that the disaster stricken areas were being consumed. I think there are not many native photographers, born and raised in the area, working on photo projects there after the disaster. Naoya Hatakeyama is a well known photographer from the area, and just like myself, he lost his family, and his hometown was destroyed too. What would be the meaning of photographing home for us, the native photographers who survived the disaster? I believe it’s our mission to make photographic images that strongly appeal to people, not to be consumed. It has been six and a half years since the earthquaque. How is our state of mind now? The buildings have been rebuilt, and everything appears as if they have fully recovered. There are more and more art works in search of (and/or to express) an inner psychological world. Those works are not limited to photography, but it could be literature, film or theater. Whatever the medium is, the audience is also seeking something to believe in, I guess. My book “The Restoration Will” falls into that very need.